The Literary Freedom Project is a 501c3 tax-exempt nonprofit arts organization that seeks to restore the importance of reading books as an essential tool for creating intelligent, productive, and engaged young people. 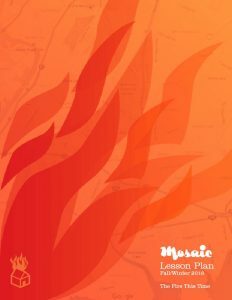 Towards this goal, LFP publishes Mosaic Literary Magazine; develops literature-based lesson plans and workshops, hosts the Mosaic Literary Conference, an annual literature-education event, and presents One Book One Bronx. We invite educators, community organizers, and parents to take part in our programs. Mosaic supplements its print issues with lesson plans that are developed based on our content and social engagement as it relates to literature. These lesson plans, developed for secondary school educators, demonstrate how Mosaic’s content can serve as a connective tool to empower educators to use books, writing, and reading to further engage students. Each lesson plan includes multiple themes and a reading list. LFP also develops workshops that facilitate a deeper understanding of cultural and social studies that helps educators better incorporate learning as it relates to the literary arts, media, and social engagement. We’re currently presenting free monthly workshops with our community partner The Laundromat Project, 920 Kelly St., Bronx NY.